Meaningful engagement and collaboration between education and care community members strengthen quality outcomes for children. Practice that is informed by meaningful engagement with families and/or the community is also one of three themes that need to be demonstrated by services to receive an Exceeding National Quality Standard (NQS) rating for a standard. In the final instalment of this five-part series, we outline some key strategies for engaging and collaborating with your community. When you engage meaningfully with and in your community, you increase your knowledge of your community, promote understanding, and provide opportunity for relationship-building and collaboration. Importantly, you ensure practice is informed by, and is responsive to, your unique community and context. Your community members have a wealth of knowledge, capacities, expertise and resources and unique strengths and priorities. Services can learn from and build on these to strengthen the community and collectively support your community’s purpose of positive educational and developmental outcomes for children. Meaningful engagement seeks and values ongoing participation and the inclusion of all community members’ voices, including those of children, in decision-making. Positive relationships and a strong sense of community will encourage participation. Child enrolment processes and documentation. Orientation and year-start practices such as tours, open days, welcome events, ‘All about Me/Us’ child or family documentation. 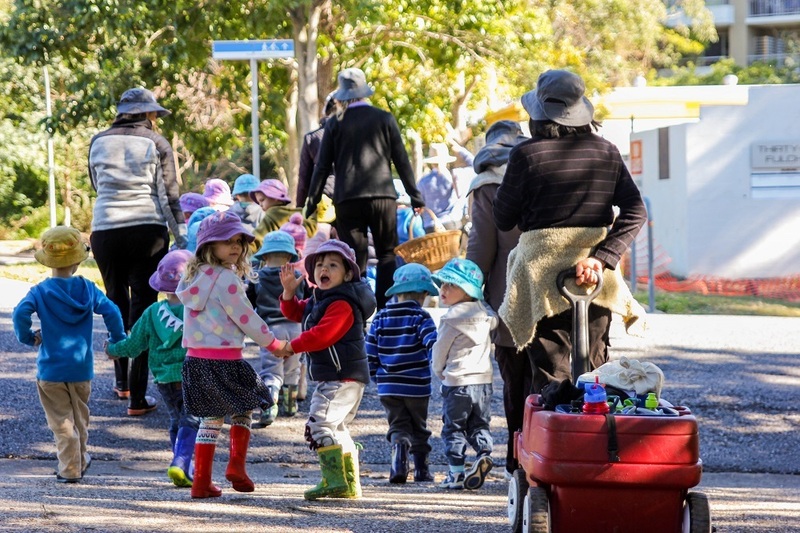 Australian Early Development Census (AEDC) data for your neighbourhood, suburb or community to identify children’s developmental vulnerabilities and to support planning. Sharing knowledge, understanding and documentation of children’s learning, development and wellbeing from your own and other education and care services they are enrolled in: e.g. the school associated with an OSHC service; a previous or concurrent education and care service a child has or is attending. Connecting with health, education and family-support organisations involved with enrolled children and their families. Sending a camera home with children and families to record what is meaningful to them. Recruitment and staff induction processes. Networking group meetings for cooks, educators, educational leaders, co-ordinators or directors. Professional development and team building experiences. Formal information or resource-sharing meetings. Targeted research and engagement through access points such as professional networks and organisations. Neighbourhood walks, excursions and inviting visitors to attend the service. Engagement with your Aboriginal and Torres Strait Islander community through the local Land Council, Language and Culture Centre, Indigenous Educational Consultative Body, Elders, or community liaison officers. Formal information or resource-sharing meetings with the local council, historical association or community organisations etc. Targeted research and engagement through access points such as local media, libraries, or community organisations. Relationships, engagement and collaboration are a two-way and dynamic process, so it is also important to ensure your community knows and understands your service and purpose in promoting quality outcomes for children. 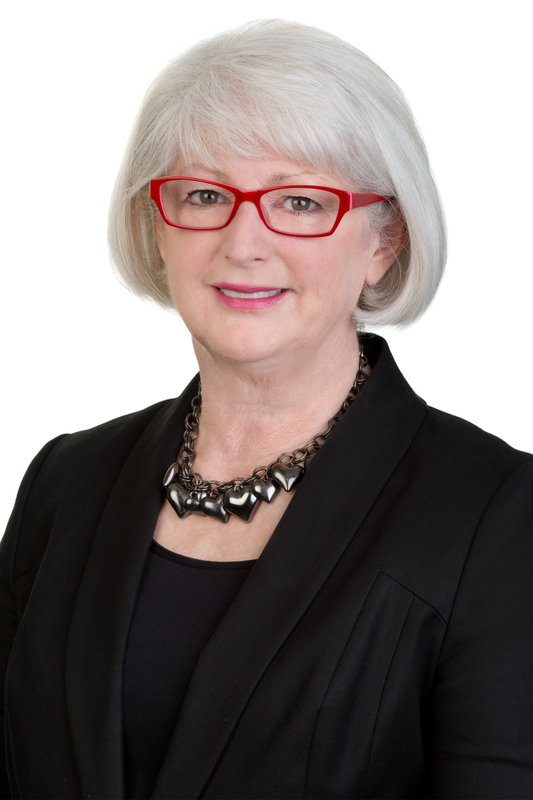 Your purpose should be evident in the living document of your service philosophy, communicated through your resources, and evident in enrolment, orientation and staff induction processes. This will ensure your purpose is clearly understood and consistently implemented. Use engagement opportunities such as year-start, community and networking meetings to communicate meaningful information about your service and to reaffirm your purpose. Print, news, broadcast or social media also offer opportunities to connect with your community. Collaboration is a pooling of resources and co-ordination of approaches to achieve something that would not be possible by one party, alone. Collaboration has a goal: for example, when an early childhood service and a school and outside school hours care service share information and collaboratively plan for a child’s transition to school and their future learning; or when a family day care service strives for continual quality improvement and collaborates with families to share decision making. Collaboration depends on the context and reflects the unique resources and strengths of those collaborating. It is usually characterised by supportive leadership, an inclusive approach and recognition of the unique strengths and resources that each partner brings to the collaboration. The importance of collaborative partnerships with families and communities to quality practice and outcomes for children is reflected in NQS Quality Area 6 and as mentioned previously, a theme for determining practice that exceeds the NQS. Collaborative partnerships and community development are also integral to the criteria for the NQS Excellent rating. Examples of exemplary collaborative practice are evident in many of the Excellent rated services: for example, the collaboration between Tigger’s Honeypot and the University of NSW and collaborations between Indooroopilly Montessori Children’s House and Edmund Rice Education Australia (EREA) Preschools in Timor Leste and also Men’s Shed. Inspirational examples of collaboration can also be found in Community Stories on the AEDC website. To receive a rating of Exceeding NQS for any standard, three Exceeding themes need to be demonstrated. Theme 3 is Practice is shaped by meaningful engagement with families and/or the community. Select one of the 15 NQS standards and discuss how your service could demonstrate this Exceeding NQS theme. How do you engage with children and include their voices in your practices and decision-making? Brainstorm new or innovative ways to meaningfully engage with and in your community. How is collaboration with families valued and reflected in your service’s philosophy, policies and everyday practice? I hope you have enjoyed our five-part series exploring the notion of community and have drawn inspiration from the ideas, strategies, reflections and resources. The personal community-engagement experiences of ACECQA’s Deputy National Education Leader, Perry Campbell, may also provide further inspiration for engaging, collaborating and enriching the relationships with your community. 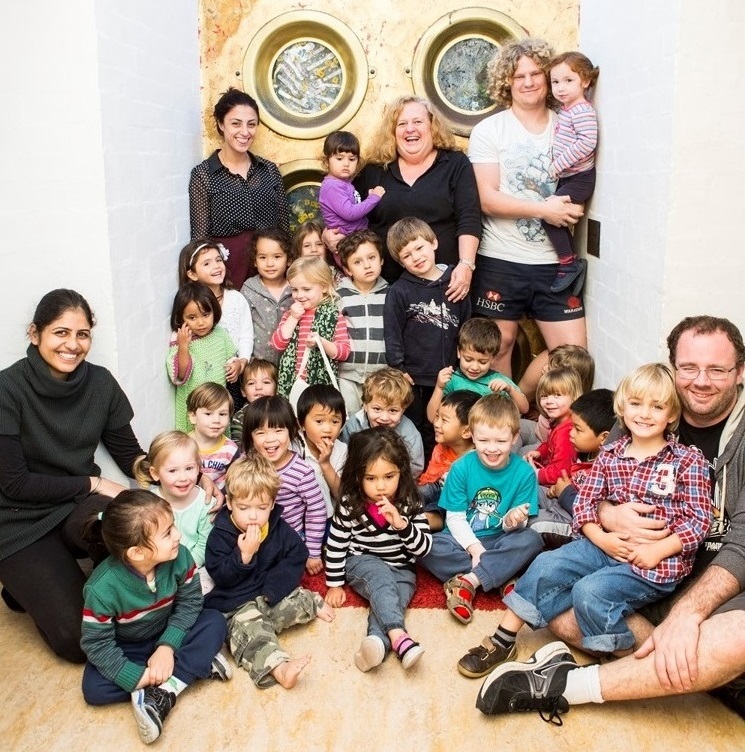 Early Childhood Australia – Collaborating with families: Not a problem! Collaborative relationships with families and community partnerships are fundamental to achieving quality outcomes for children. When we think about these relationships, active communication, consultation, collaboration, and meaningful support are essential. When I have the opportunity to speak with educators and service providers, I am always interested to hear about how they engage with families and the community, and how that engagement influences their work. Educators and providers have talked to me about the challenges, but also about how rewarding it can be and, most importantly, how integral it is to their work with children. Quality Area 6 of the National Quality Standard (NQS) acknowledges the value of collaborative partnerships with families and communities in contributing to children’s learning, development and wellbeing. In many ways, the NQS and Quality Area 6 are acknowledging and building on the very relationships and partnerships that have been so central to educators committed to quality outcomes for children for decades. When thinking about some of the elements of Quality Area 6, I can’t help but reflect on my own experiences working in education and care services where we strived to forge those partnerships through collaboration. One particular long day care service I worked in springs to mind, along with a couple of standout examples. At that time, this service was brand new and located in a quickly growing area that was just hanging on to being urban fringe. When I look back to that service, I can’t think of a time where families and the community weren’t involved. One of my greatest memories is the annual community Spring Parade and Fair. Not only did our service support it, but we were in the thick of it. Picture a little yellow Suzuki Mighty Boy in this parade (the car belonged to a member of our staff), decorated front to back in children’s work. Following the car was nearly every child and educator from the service, joyfully and enthusiastically cheered on by the local community – in this parade we were with the local community and for the local community. We were a vital and contributing part of the local community. While the decorations changed and there were changes in children, families and staff over the years, we always proudly walked under our slogan of ‘Education and care go hand in hand’. This one Sunday each year, everyone looked forward to participating, sharing, collaborating – no one ever gave a second thought about not being there or not giving up part of their weekend. Even though the parade itself was only a day, the collaboration with families and the community to prepare started long before the parade. But it never seemed like extra work – it was just part of who we were as a service. A community festival followed the parade where we could see, with pride, our community footprint throughout that festival for the rest of the day. As a service we were always visible in the community. We walked around the neighbourhood to local parks, the local shopping strip and the library. We even used the local basketball courts regularly, which had an amazing array of mats, balls, games, as well as a huge, full-size basketball court where sinking a ball was the aim for most of the children to feel like they had made it as a basketballer! We were such an important part of the community that when we asked new families how they had heard about us, we could have really asked who had spread the word about us. Almost every time we asked that question, families would tell us about who rather than how. Another event that was important to our service was our annual fete. It was not only a chance to raise funds, but also a way to bring the community together and into the service. Once we started planning, local businesses were happy to be involved because they knew who we were. We were part of the community and not merely a place you drove by unless you needed education and care for your child. During fete preparations, we would often have locals who we hadn’t met drop in with donations, knick-knacks for the white elephant stall, plants for the plant stall, and a variety of all the things that make a fete great. We realised that our community word of mouth was in action again, with neighbours up the road, or community members at the shops, telling others about our service’s fete, or people seeing our fete poster in the newsagent or other local shops. While the funds raised always meant the resource catalogues got a good workout, the real benefit came in bringing the service, families and community together. Engagement and community aren’t just about the good times. There are times when services can get rocked to the core by events that happen, both within the service and or to families of the service. One of our families experienced an extreme trauma, which also significantly impacted the service. I have never seen a community come together to support not only the family, but also the service so quickly. Suddenly, we became an unofficial hub for meal donations to support the family. There was no notice, no request – just a community in action. I have no doubt that the way we valued the partnerships with families and community contributed to this level of support at this extremely difficult and challenging time. We had a genuine partnership with families in service delivery; they were involved in all areas that interested them, and, I suspect, sometimes ones they didn’t want to be involved in but didn’t want not to be involved. As well as true partnerships with families, we were also an important part of the community, helping to create a community amongst the families at our service. I believe two of the biggest contributors to our success were the great leader we had (who set the expectation from the start) and an attitude of reciprocal benefit. We never simply focussed on how the service could benefit; we also concentrated on the rewards the families and communities gained from the partnerships as well. Thinking back, this might be the reason the extra activities and events didn’t seem like extra work. There is much more to family and community engagement than I can capture here. But I also know there is so much to gain from those relationships and partnerships too. All we need do is look at the 2018 NQS and the Exceeding NQS themes to see how families and communities are acknowledged as important contributors to quality outcomes for children. Reflecting on my experiences in this service takes me back 20 years. The lessons I learnt there enriched and informed my work, practices and relationships at the other services that followed. As I look back, I know my experiences at that particular service, and others just like it around the country, contributed to the expectations of family and community partnerships and engagement we see reflected and acknowledged in the NQS to this day. Working in partnership with families and the community enriches and informs what we do every day. I often look at the incredible people who give generously of themselves within their community and wonder just how many of them developed that commitment to their local community as a result of the positive, formative experiences they had in an education and care service as a child. Positive relationships between education and care community members strengthen quality outcomes for children. In the fourth part of our series, we outline some key strategies for developing relationships with your community members. Relationships are the bedrock of education and care quality practice as they are central to child development, learning and wellbeing. Relationships are also essential to creating a sense of community. Whether the relationship is between an educator and a child, a group of children, a provider and a family-support organisation, or a service’s staff members, positive relationships require the essential ingredients of honesty, warmth, open communication, responsiveness, respect and mutual trust. Awareness of cultural differences and respect for diversity will support positive relationship-building. Be open to differences and seek to genuinely know your community members. Ask questions sensitively, consider cross-cultural communications issues such as language, eye contact and greetings, and reflect on of the influence of your own values, beliefs and perspective. As some ingredients of a relationship, such as respect and mutual trust, take time to develop, relationships can also take time. Just as children need to feel secure and supported before they feel confident to interact and explore, adults also need to feel emotionally comfortable before they interact and participate. A welcoming, respectful and inclusive environment will support this. Welcoming, inviting and inclusive spaces and signage that reflect, respect and celebrate the culture and context of children, their families and your community. Consistent, child-friendly spaces for children to keep their belongings. 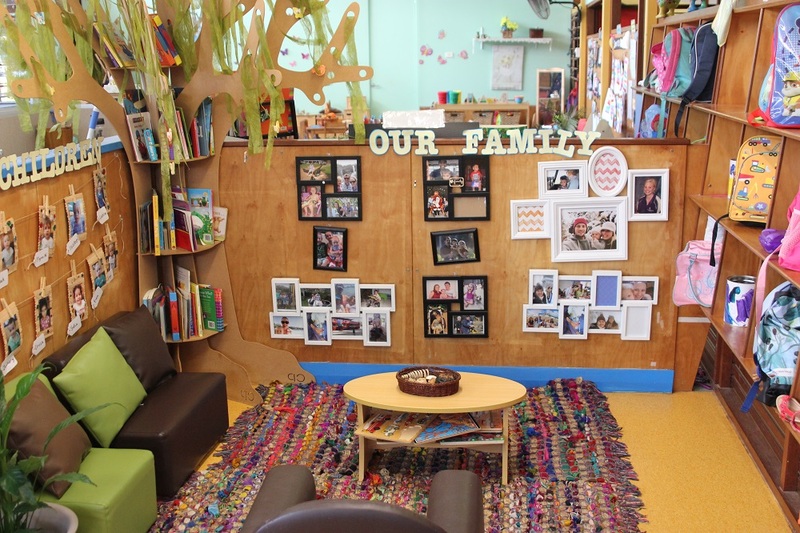 Learning environments that are inviting and inclusive and foster pro-social interactions between children. Spaces that promote unhurried conversation and interaction between adults. Spaces for families to contribute to and engage in children’s learning. Calm and peaceful spaces that promote wellbeing. Spaces that respect privacy (for example, for sensitive conversations or discussions). Welcoming and positive staff whose honesty, warmth, consistency and responsiveness encourage interaction and relationship building. Staff who respect the culture and context of children’s families and your community. Professional, respectful and positive communication and interactions between staff. Respectful and responsive enrolment and orientation policies and procedures that promote communication, understanding and relationship-building. ‘Open door’ policy for families. Staffing organisation that allows time and opportunity for interaction with families and meetings with professionals. Staff induction procedures that promote confidence and belonging. Staffing arrangements that provide opportunity for professional collaboration. Community engagement practices that encourage collaboration. Respect and trust will be more likely to be developed when the commitment to forming the relationship is genuine and meaningful without the expectation that something is required in return. When relationships are meaningful, positive outcomes are promoted. A good example of this is when educators and a family have a genuine desire to support a child’s learning, development and wellbeing by sharing their knowledge and understanding of the child. Through honesty, warmth, ongoing communication and responsiveness, mutual trust and respect can be developed and shared decision-making enabled. Another example is when an organisation is committed to staff development and provides the opportunity to develop stronger relationships through team building experiences. Team building can support communication skills, responsiveness, respect for different perspectives, and mutual trust. 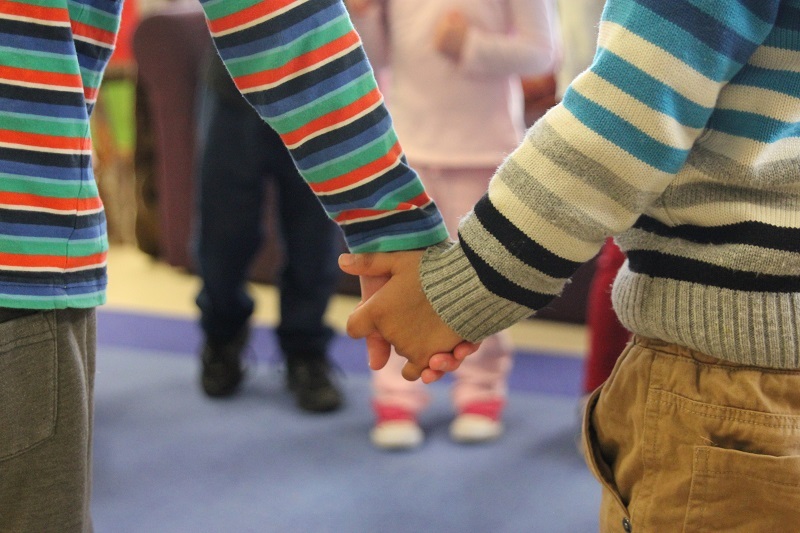 Strong staff relationships create a sense of connectedness and promote staff stability, which, in turn, support consistent and secure relationships between children, staff and families. Communities are a shared responsibility and work best when relationships between community members are reciprocal. A one-way relationship where only one member gains something from the relationship will not be equitable, meaningful or sustainable. Services are encouraged to reflect on community relationships to ensure contributions and engagement are two-way. If you believe that relationships are one-sided, what could be changed to foster or ensure reciprocity? Select members of your team to each imagine they are a child, a child’s family member, a staff member, a visiting health professional or a local Aboriginal or Torres Strait Islander Elder. * reflect together with the staff and identify what the service is doing well to ensure all community members feel welcome and what could be changed or improved. How does your service contribute to your community? Reflect on your relationships with your community members and consider if the relationships are reciprocal. To support your collaboration with community members and promote positive outcomes for children, the final instalment will outline a number of key strategies and conclude the series. Earlier in this series, we asked you to consider: Who or what is included in your service community? As this can be a challenging question, part three of the series explores six key questions to help you to identify your community members and create effective connection and collaboration. Communities usually have a shared purpose. Taking time to clarify your own purpose is a vital, first step when identifying your community. A clear purpose gives you direction and enables you to effectively identify potential community members. Ideally, for a children’s education and care service, your primary purpose is promoting positive educational and developmental outcomes for children. Placing children at the centre of your community will ensure they are the focus of your efforts. 2. Who is in my organisation community? Some community members are automatically part of your community as they are part of your organisation. The approved provider, educators and other service staff such as co-ordinators, cooks and office staff are all important members of your community. Individually and collectively, they help you to achieve your purpose. A sense of community within your organisation creates a positive organisational culture and can nurture a professional learning community. These both have significant benefits to the service, staff, families and children. 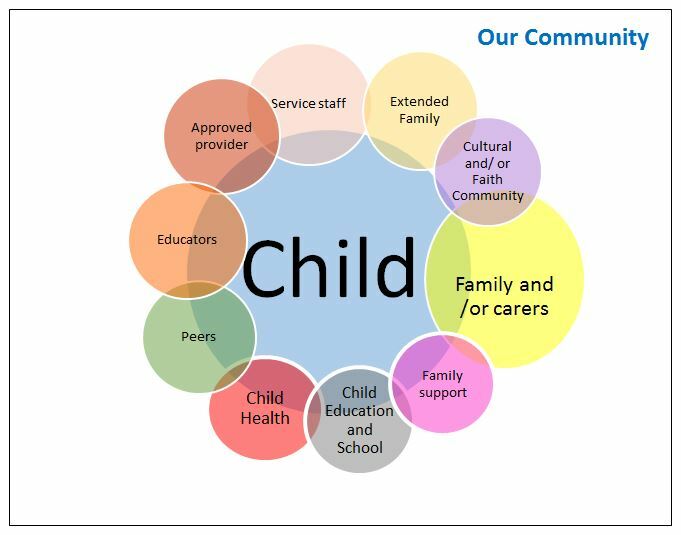 3. Who is in each child’s primary ‘people’ community? Each child has their own unique ‘people’ community. Family and non-family carers, such as foster parents or guardians, are central to each child’s ‘people’ community and are, therefore, important members of your education and care service community. In some communities, extended family will also be a significant part of the community, as will carers who regularly drop off and collect children from the service. Families and carers will, ideally, also share your primary purpose of positive educational and developmental outcomes for children. Other children attending the service will also be important members of each child’s ‘people’ community. Daily interactions and relationships with peers give children important social-emotional experiences that shape their development, wellbeing and learning. 4. Who else is in each child’s ‘people’ community? Child education: e.g. education professions engaged with the child or service, such as Inclusion Support professionals; or education services that a child might attend or be planning to attend, such as other services or schools. For outside school hours care (OSHC) services, the school is an important part of your service community and vice versa. The school’s broader community beyond the school gates is, therefore, also a part of the OSHC community. Child health: e.g. medical, child and family health, or allied health professions engaged with the child or service, e.g. speech pathologists, paediatricians. Family support: e.g. parenting groups, playgroups, toy libraries. Cultural and faith-based groups can also be significant parts of a child or their family’s community and, therefore, part of your community. 5. Where is our community? 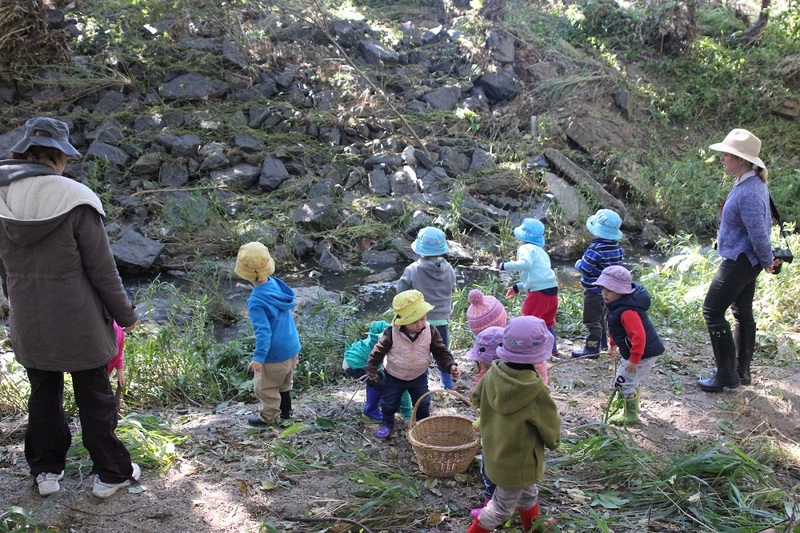 Enabling children to connect and engage with the place of your community can promote positive educational and developmental outcomes for children. Some services will have very strong connections to the land or location of their service neighbourhood through shared culture, history and/or experience. For other services, and for those where staff and/or families are not local (for example, a workplace service in a city building), an understanding and connection to place may need to be developed. Geography: e.g. beaches, mountains, rivers, lakes, gullies, paddocks, floodplains, bushland, caves, forests, trees. Transport: e.g. streets, railway lines and stations, traffic lights, pedestrian crossings, bridges, car parks, bus stops, footpaths, lifts, escalators. Urbanscape: e.g. shops, shopping centres, offices, signs, recycling stations, fences, houses. Community resources: e.g. the post office, parks, library, fire station, police station, hospital, health centres, sporting fields, schools and education and care services, council buildings, community gardens, halls, monuments. Culture or faith: e.g. local Aboriginal and Torres Strait Islander land council, churches, synagogues, mosques or temples. Engagement with community places also enables social connections to the people of these places – for example, librarians, train station staff, pedestrian crossing volunteers, postman or the park ranger. These people have the potential to become a part of your ‘people’ community. 6. Who could potentially be a part of our community? Support children: e.g. a local business that could donate recycled resources for construction play. Support families: e.g. counselling or legal aid organisations. Support staff: e.g. a wellbeing organisation. Support the service: e.g. a professional development organisation. Support your community: e.g. community gardens. Promote your purpose: e.g. media organisations such as a local newspaper. You may not be currently engaged with these potential community members, however, identifying them is the first step to connecting, collaborating and achieving your purpose. Clarifying your purpose and identifying who and what comprises your community will enrich your understanding of your community. Your service is unique because of its community. I encourage you to talk with members of your community about your community and discover more about who and where you are. Such conversations are an example of valuable community interactions. Communities are not static and multiple, dynamic interactions, relationships and contexts shape your community and each child at its centre. At a staff, parent or community meeting, provide attendees with large pieces of paper and coloured pens and ask them to “draw the service community”. The drawing could be in any form – a list, a map, an illustration, a diagram… Encourage creativity. Compare and discuss the similarities and differences. Is there collective agreement? As a group, brainstorm if there are individuals, groups, organisations or places not currently in your community that you would like to engage in your community? To support you to develop relationships and collaborate with community members, to promote positive outcomes for children, parts four and five of this blog series will outline some key strategies. 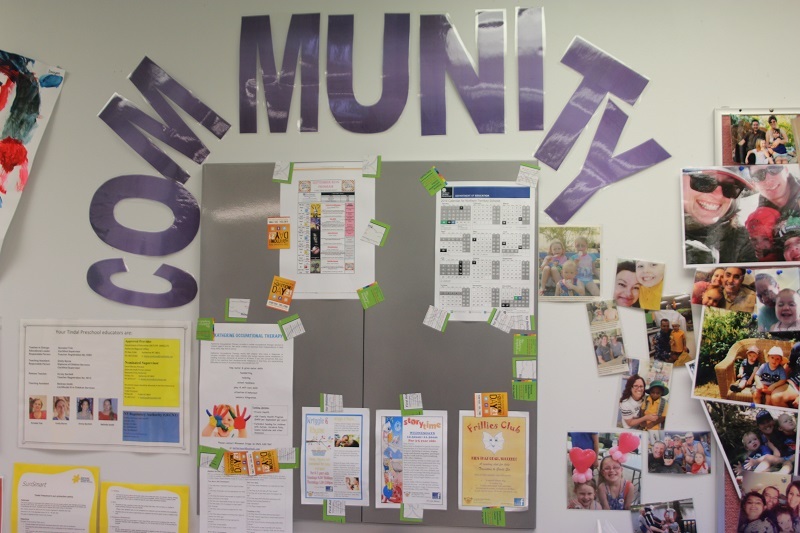 ‘Community’ is an everyday word in children’s education and care services, with the concept embedded in National Quality Framework legislation and National Quality Standard (NQS) practice guidance, resources and professional development. Collaborative partnerships with families and communities is the focus of NQS Quality Area 6. But what is community? Why is a sense of community so important to positive developmental and educational outcomes for children? Why should services be connecting and collaborating with their community? In this five-part series, I explore community and its important role in delivering quality outcomes for children, while helping you identify who and what is in your community and giving you some key strategies to engage and collaborate with your community. In this first instalment, I explore the ‘sense of community’ and the way it is connected to place, people and shared purpose. The word ‘community’ can mean different things to different people and/or groups of people, depending on our perspective and the unique context of our own community. For example, an education and care service community in a remote part of Australia will be quite different to the service community in a high-rise commercial building located in a CBD. This may be different again to a family day care community in the country and an outside school hours care community in suburbia. 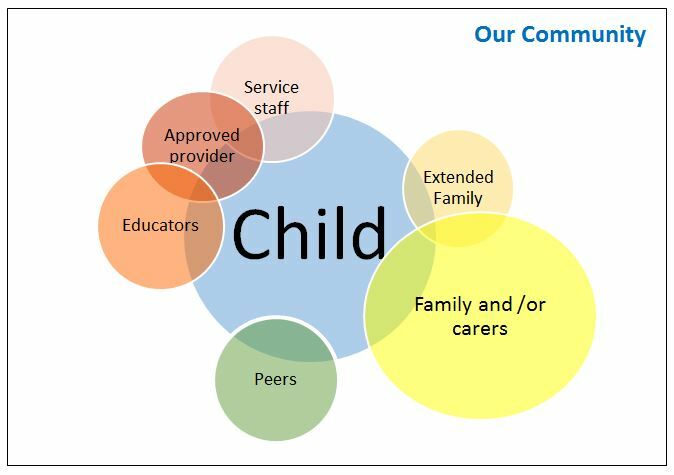 Even within one service, the children, educators, families and approved provider may have different viewpoints on ‘community’. For some, community might mean the educators and families connected together by children in a room or year group. For others, community might mean ‘the neighbourhood’ – the whole service extending to the local streets, park, library, train station and shops. In a remote region, community might encompass different, individual, kinship communities and extend hundreds of kilometres. One person’s community, or their understanding of what community means to them, may be quite different from another person’s. People can also belong to multiple communities. They could simultaneously belong to a children’s education and care service community, a hobby-based community, a cultural or faith-based community or even a virtual community connected online or through social media. What is a ‘sense of community’? Belonging: Feeling you are part of the community, are accepted, safe, and identify with the community. Influence: Feeling you ‘matter’ and can make a difference to the community and the community can have influence on you and its members. Integration and fulfilment of needs: Feeling your needs can be met by the community. Shared emotional connection: Feeling attachment or bonding between community members through shared experience, place or history. Community has many dimensions, but is often thought of as meaningful connection to a place, or to people, or to both. Community members focusing on place might define their community by its location, having strong connection to the physical or geographical context. A people-based community is primarily driven by relationships. 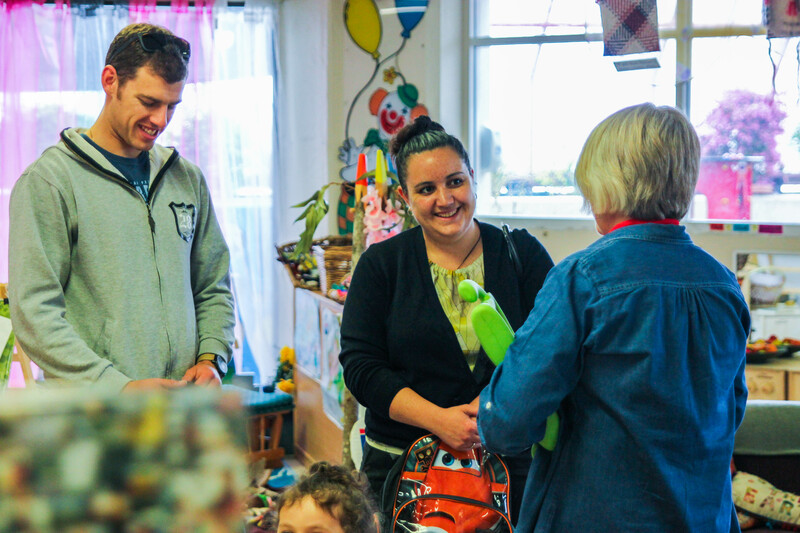 Ideally, an education and care service community involves meaningful connection to place and people. Community members are valued and, through strong, positive relationships and shared decision making, they feel a sense of belonging and connection to the place and people. Both dimensions make positive contributions to feeling a sense of community. A community is usually driven by a shared purpose – the tangible reason for connecting and working together. Ideally, in children’s education and care, this shared purpose is promoting positive educational and developmental outcomes for children. Individual community members, such as educators and families, will already have this singular purpose; but, when a community works together on a shared purpose, greater outcomes can often be achieved. Strengthening relationships between community members will strengthen outcomes. Therefore, if educators, service staff, families, community organisations, schools, neighbourhoods, councils and other community resources connect and collaborate, positive educational and developmental outcomes for children can be achieved. What are my personal understandings of the word ‘community’? Do members of my team or service have similar or different understandings of community? What does ‘a sense of community’ feel like to me? Ask each staff member to identify what they believe the purpose of the education and care service to be. In the next instalment of our series, we explore why community is important to children’s educational and developmental outcomes.